It is a month since the government shutdown and a day after the election. The minority leader of the U.S. Senate, Mitch McConnell, longest-serving senator in Kentucky history (1985 to the present, up for a sixth term in 2014), is seated in his office talking about the stresses, strains and estrangements that mark the relationship between what is called the tea party and what is called the GOP establishment, which at the moment seems to consist of everyone who isn’t in the tea party. 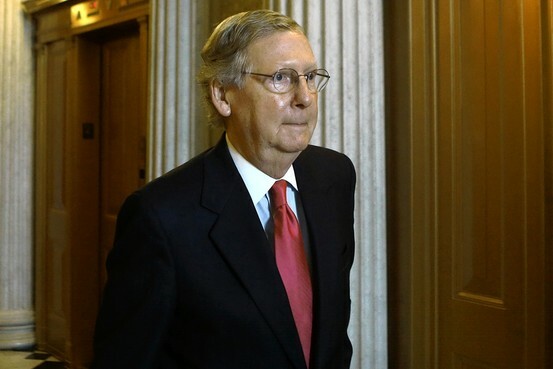 Mr. McConnell is soft-spoken, contained, a person of habitual discretion. What seemed to be on his mind was something like “Star Wars: The Establishment Fights Back.” What he expressed was more like “The Establishment Voices Some Aggravation.”But it’s a start. During the government shutdown there was significant tension and discord among various Republicans on the Hill. Where does that fit in this story? Is Mr. MConnell going to them and saying, “Guys, it would be very helpful to the country if you would begin to defect”?